Mystery resizing and moving of text and images, which makes things look misaligned, and therefore very unprofessional. 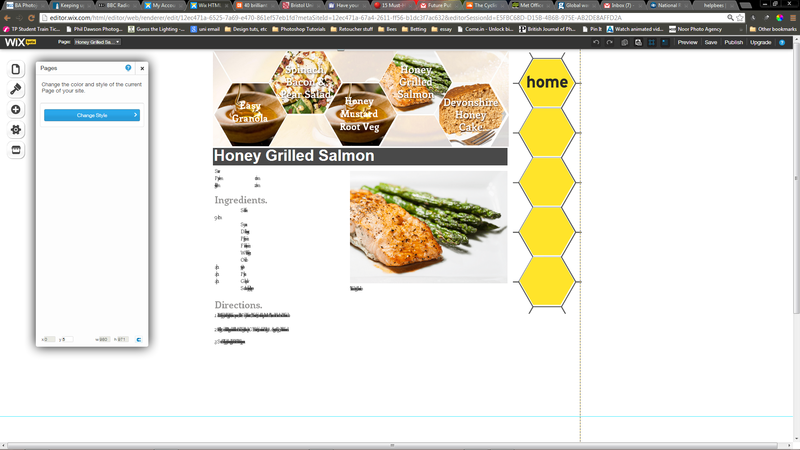 This problem is magnified due to the extreme importance of having all the menu tiles in exactly the right size and position to look as intended on the menu page. Changing font and colour by itself, so I have to remake some of the text boxes, which wastes a lot of time. Transitions on images, pages and sideshows do not work on iPad, they are just a flickering mess, so I’ve had to remove them, which has limited some of visual appeal of the site. No support of high resolution images has meant that I’ve only been able to use regular resolution images, which has been good and bad. It means that the website obviously loads a lot quicker due to the smaller file sizes, but I haven’t been able to utilise the retina display on new iPads – a feature I did initially want to include. Today, whilst I was at Uni talking to Alison, the EU took the action to force through the ban on neonicotinoid pesticides. 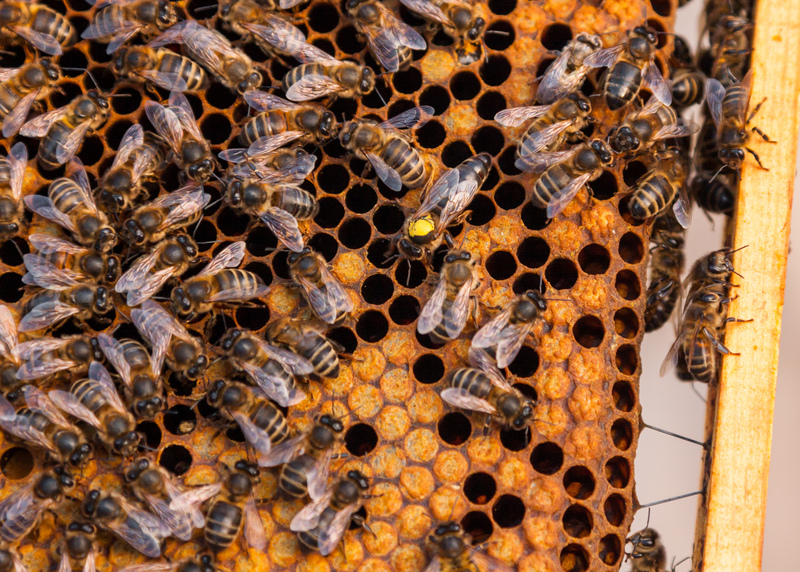 This is potentially very good news for bees and beekeepers, although there are concerns that now farmers will have to revert to using other, more damaging pesticides. At least, however, this shows that key figures are willing to listen and act on the issue, which is a good sign. This development isn’t great for my pesticide article. Having spent four days writing more than 2000 words on how the pesticide ban is still on hold it’ll mean that I’ll likely have to reword large parts of it or write an amendment. I have received a few really good responses to my initial emails and everyone has said they are keen to help with the project. Marc Butterworth has even put me in touch with the Leeds Beekeepers Association (LBKA), so hopefully this will lead to more useful contacts. Unfortunately, I’ve had no reply from Dr. Koos Biesmeijer. I didn’t expect to be contacted by everybody, that’s why I originally contacted several people for each area needed. I’ve just had my second proper tutorial with Chris, and one key area that he feels I should concentrate on after looking through my articles is to make sure I am grabbing the attention of the reader in a daily mail-esque style lead before pursuing with a thorough and balanced article. The sense of urgency is important to catch people’s attention and highlight the importance of the issue. I’m finding this difficult as I feel that I tend to over-think my writing, and therefore end up losing a lot of the emotion, which would make this impression. I have, however, made some improvements on the climate change article in order to make it more shocking and relatable for the everyday person. I’m feeling much happier about this part of my work now, and will look to ’let go’ and implement this more in future work. I’ve just sent several emails out to the people who I hope will be my main contacts during the project. In these initial emails I have told the contacts about my project and how I’d like them to help out, if possible. People I’ve contacted are: Dr. Koos Biesmeijer from the University of Leeds. He studies habitat loss and its impact on pollinators and, primarily, bees. Dr. Mark Goddard from the University of Leeds who is studying the impact of urban pollinator habitat on pollinators. Tim Harberd who is the beekeeper at Meanwood Valley Urban Farm. Marc Butterworth, a beekeeper in the local area. Pete Benefer, a local beekeeper contacted via Facebook. This week I made sure to get to Temple Newsham for 17:30, so that I could make good use of the light. The sun stayed out far later, so even in the shaded spot of the apiary I was able to take some photos, which I’m really happy with. I felt much more at ease with everyone I’d got to know last week, and could therefore get straight into taking quite personal images. A couple of lessons I’ve learned tonight are that I can take lots of photos, whilst still being polite and unobtrusive. It’s important to be able to do this, as there’s always a possibility that next week could be rained off severely limiting the time I may have to get my images. 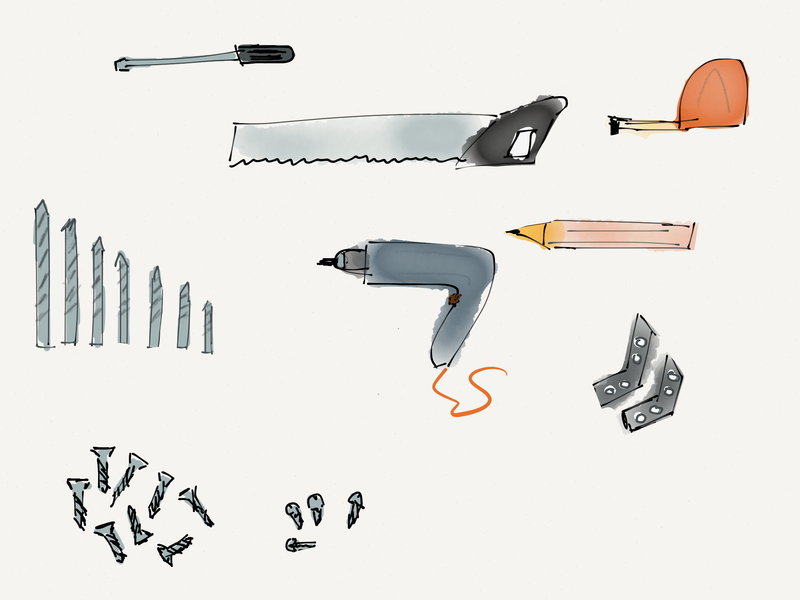 This afternoon, I’ve spent my time pretending to be, and therefore becoming an illustrator…of sorts. 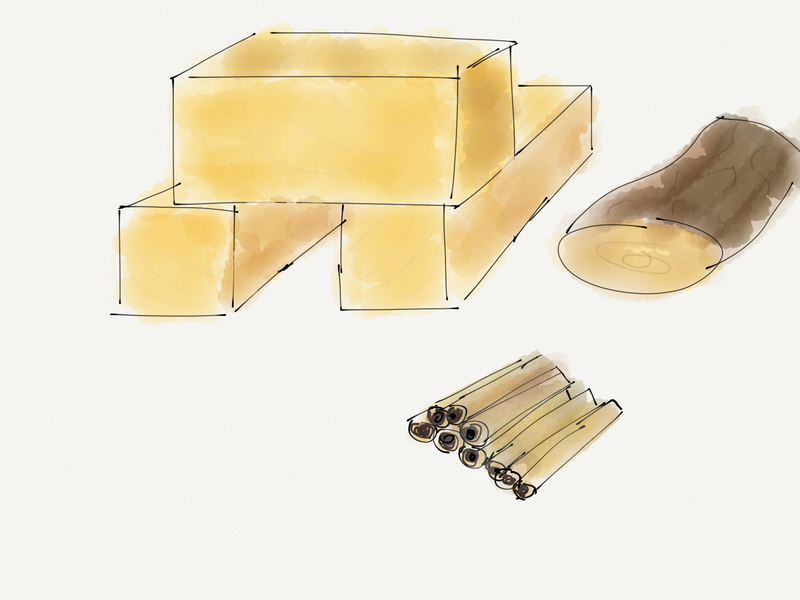 Using my beautiful new iPad, I’ve created the illustrations necessary for the bee house article. This has been a fun activity, and despite my complete lack of drawing ability, I feel the images are decent and do the job I wanted them to do. This evening I set off to meet Dave Hill from the Leeds Beekeepers Association (LBKA). He was standing in for Dave Barrett the chairman, who couldn’t make the meeting. I arrived, quickly got suited up in all the protective gear, and then headed in to the apiary, which is where they keep all of the association’s hives. Being fairly early in the year and quite late in the day, the light faded quickly and I only really managed to get a couple of blurry test shots, which are unusable. 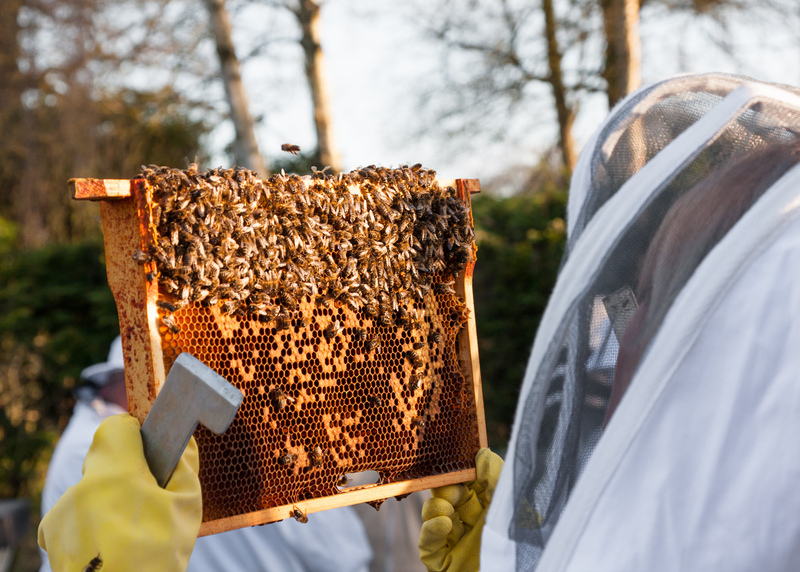 I felt fairly nervous and didn’t want to make the student beekeepers feel uncomfortable by jumping in and snapping loads of images straight away. Tonight has been more of a ’reccy’ to get to know people and make us all feel comfortable, so that I can turn up next week and get totally stuck in. I’ve learnt a couple of lessons this evening – I need to make sure that I turn up as early as possible next week, so that I can make use of all available light. After a lot of research, I’ve come up with the recipes to be featured on my website. The last two days have been spent making three of them – Spinach, Bacon & Pear Salad, Honey Grilled Salmon and Devonshire Honey Cake. All of them have turned out really well, although the cake was slightly dry. I’m glad that I’ve chosen to include activities like these recipes in my project, this has helped to keep the project interesting and fun to make, and will hopefully be the same for users of the final product.